that's a nice looking seat! looks like a sargent? Has he recovered a sargeant seat if so was it just a recover? 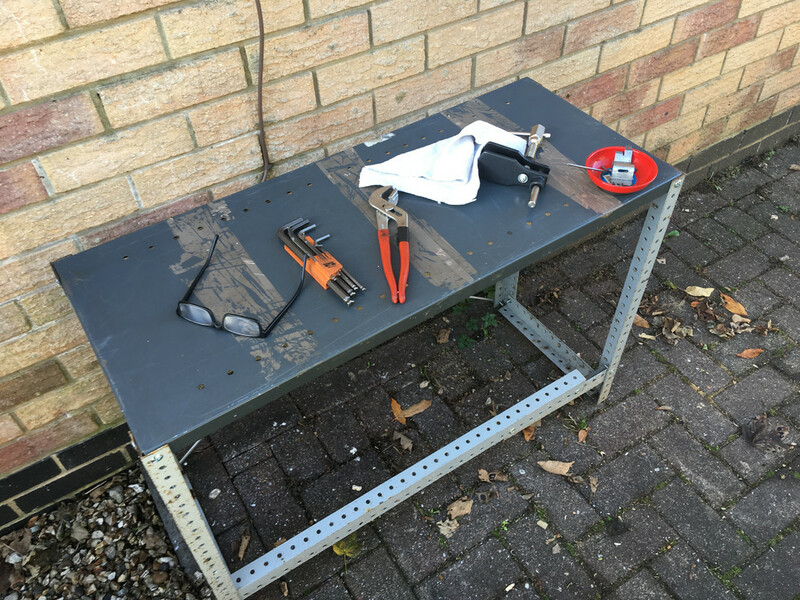 I asked him to carry out any foam repairs that might need doing whilst he was doing (I think he has done so at the bum/back rest) but I was glad he also saved the little Sargent flag thing as I forgot to mention it. Top job he has done (as always) but if you are thinking of sending anything to him then ring him (but he doesn't always immediately answer the phone if he is busy so keep trying). Mines not to bad but recovering it would be good,everything I read said these couldn’t be done. The Sargent is a conventional seat so cant understand who would say they cannot be re-covered or modified. I had my Sargent seat modified as I was continually slipping forward. They managed to reuse the original cover, but the guy who sorted it out for me said that a new cover would be possible. For what it's worth, the difference when he had finished was amazing. I had the front raised a little and the back scooped a hair so now I stay planted and it's way, way more comfortable. 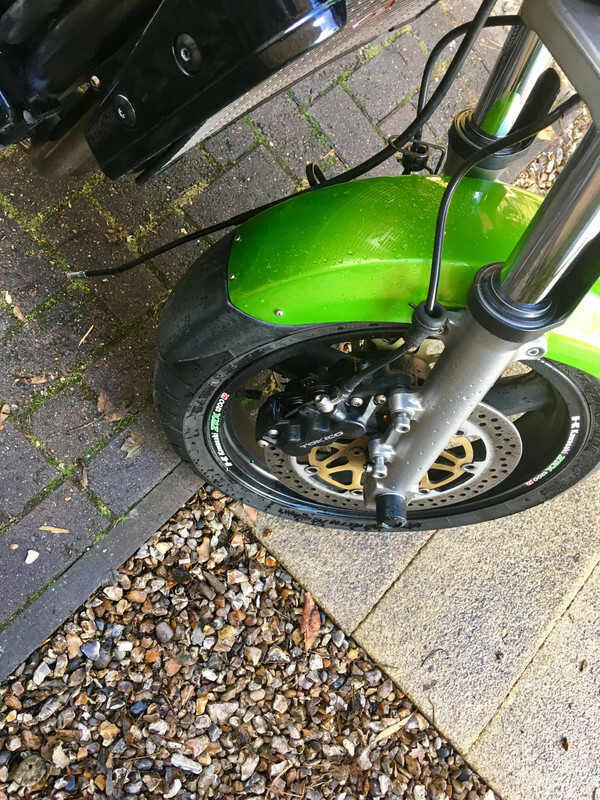 Warm day so I had a go at my brakes,I’ve been getting a clunking sound. they where absolutely filthy,now I think about it so was my bike when I returned from Spain with all the storms and rubbish on the road. 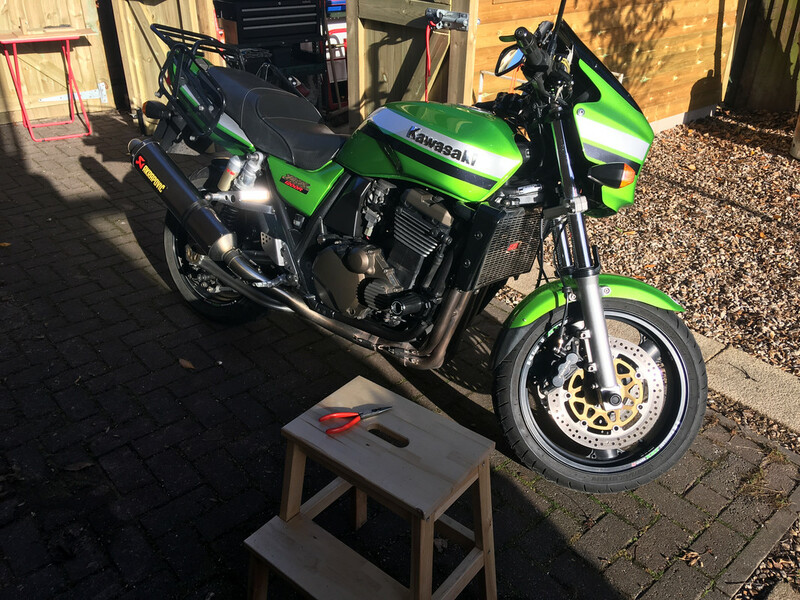 first I used white spirit,then brake cleaner followed by soapy water and finally a good rinse. mostly it was elbow grease and 3 old tooth brushes. I wasn’t sure how far I could pump the pistons out so I think they probably need stripping to be on the safe side. i was able to push the pistons back with just my fingers after cleaning that’s good right? however there where lots of what looked like plier marks on the pistons,will that damage seals? 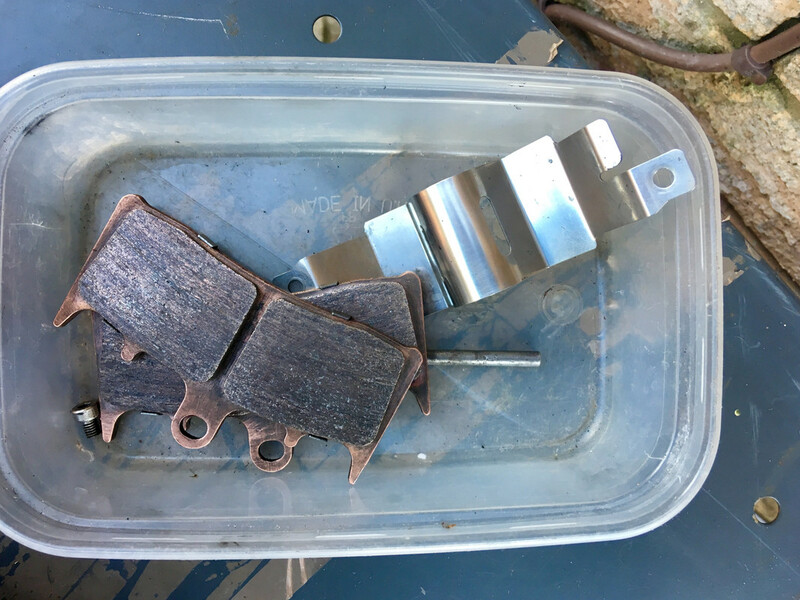 this time I didn’t coppaslip the pads I am going to try them bare,I put less than usual on the other bits. i really struggled with the small pad bolts ny fingers just don’t grip. 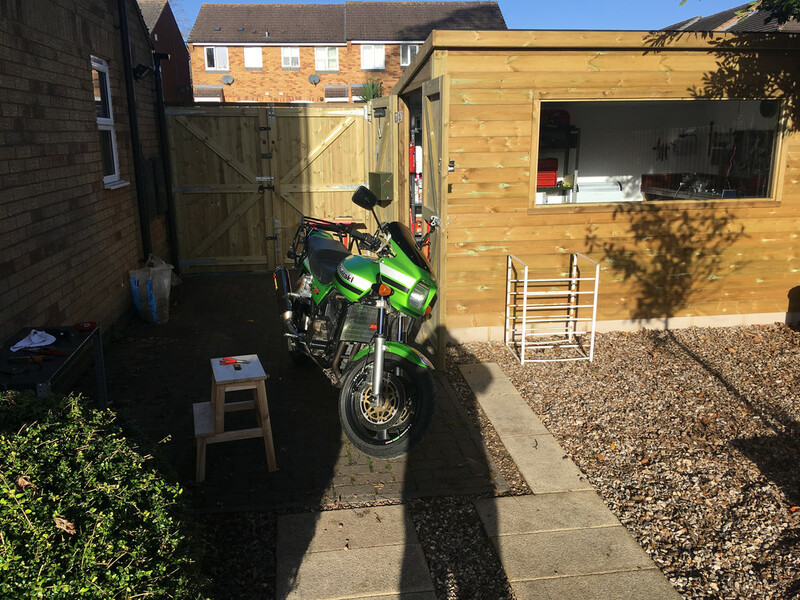 my torque wrench only goes up to 25 so I cleaned the bolts put on loctite tightened to 25 then added some FT.
rinsed the bike down ran it for an hour then turned of the fuel till she ran dry,ACF50 then back in the garage leaving the cover off to make sure she’s properly dry.i also left the pistons in as I’ve always done over winter. 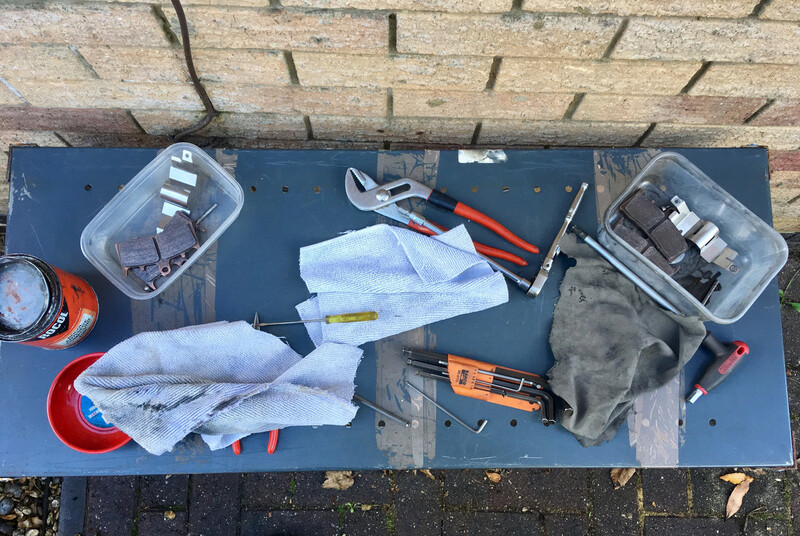 i really liked working using my outdoor bench and having the tools organised was both easier and very satisfying. 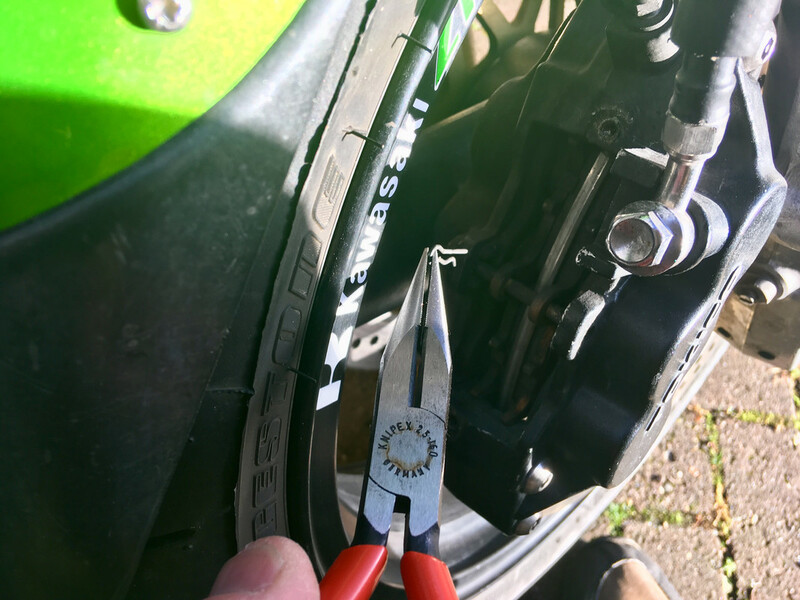 my new Knipex ex BT pliers where excellent as was the 1/4 drive sockets [much easier on my hands]. it took me ages but it was enjoyable [ish]. 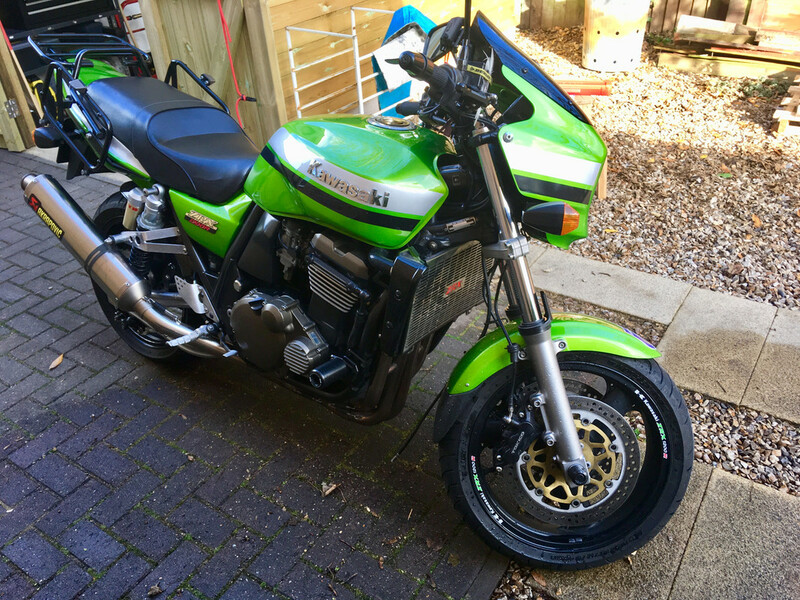 1) first I used white spirit,then brake cleaner followed by soapy water and finally a good rinse. 2) I wasn’t sure how far I could pump the pistons out so I think they probably need stripping to be on the safe side. 3) i was able to push the pistons back with just my fingers after cleaning that’s good right? 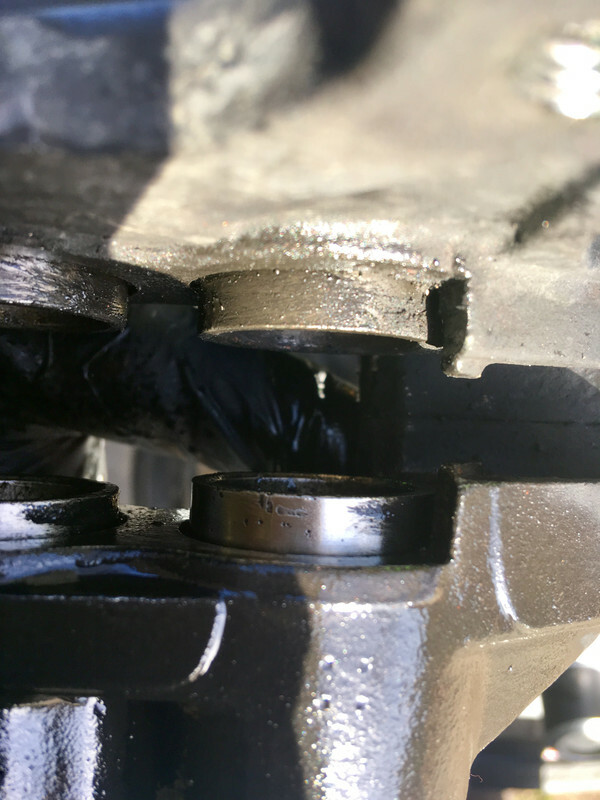 4) however there where lots of what looked like plier marks on the pistons,will that damage seals? 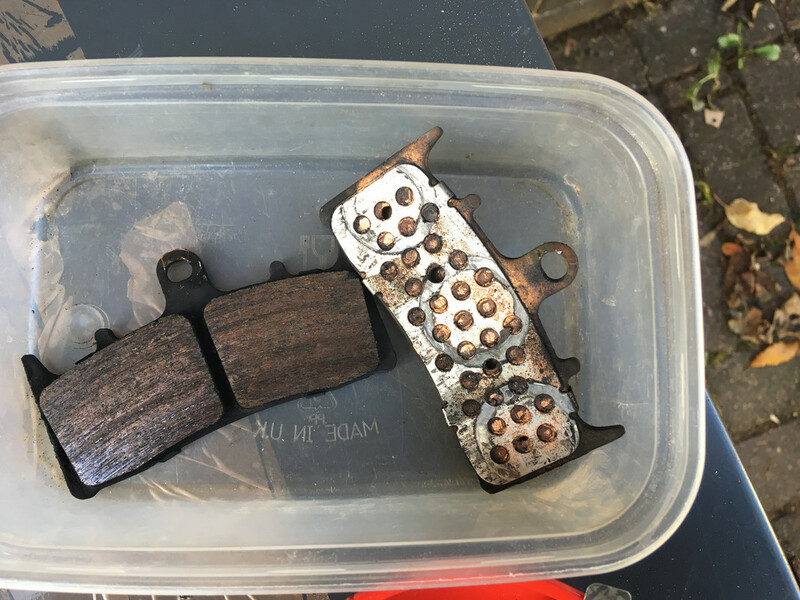 5) this time I didn’t coppaslip the pads I am going to try them bare,I put less than usual on the other bits. 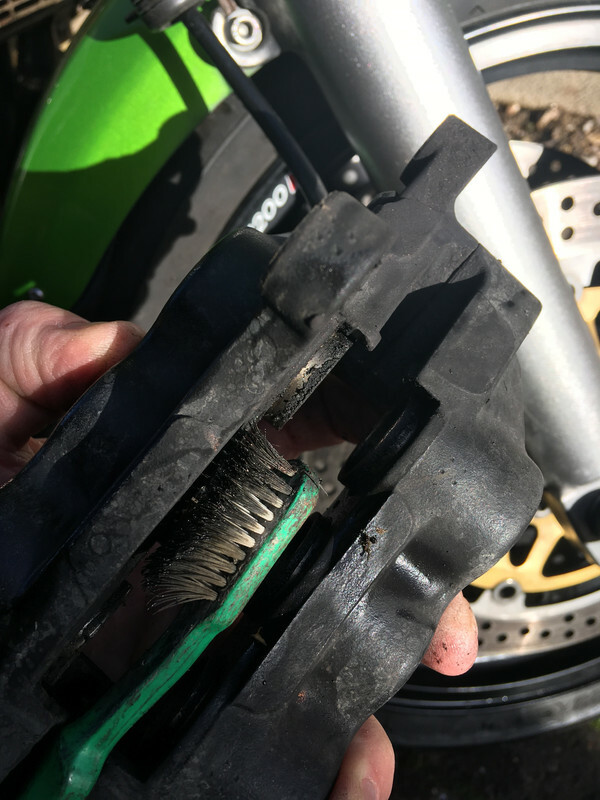 6) my torque wrench only goes up to 25 so I cleaned the bolts put on loctite tightened to 25 then added some FT.
4) There should be no marks on the pistons as the correct way to remove them is to grip them internally (albeit you need piston removing tools to do so). 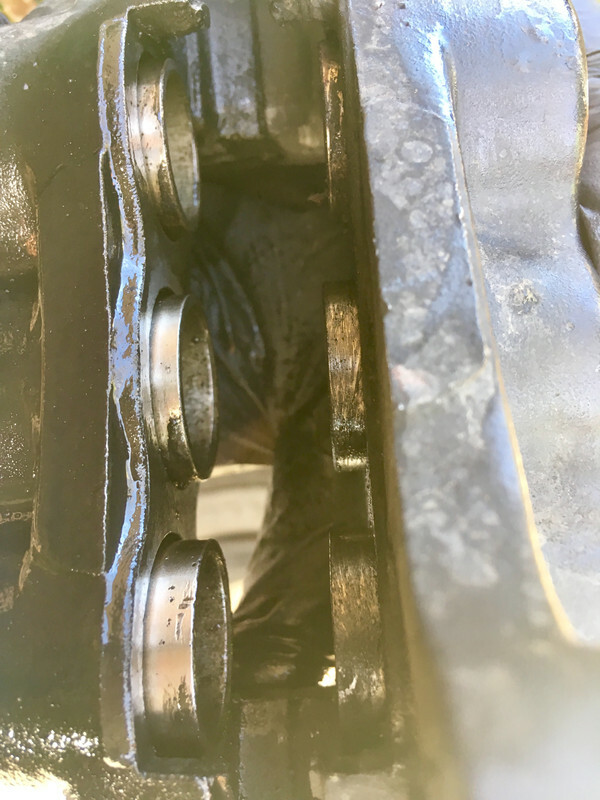 Such damage could damage your seals if they reach them when fully back or can take road shite in with them - anyone know off hand how deep the first seal recess is? 6) I am hoping you didnt use your Torque Wrench to add some FT? Has the clicking gone away when you rock the wheel to and fro? 1,it’s in a can it evaporates far to quick,its for chains as well for which kerosene is deffo better. 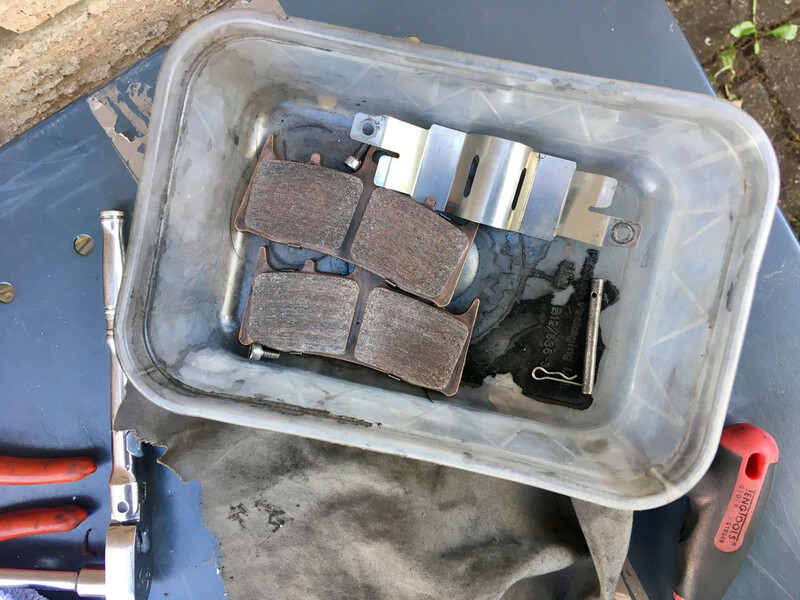 4,I wouldn’t have used them in that condition it goes against everything I was taught with brakes. 5,just to see how it goes EBC say bare. 6, no never,I don’t use a ratchet as a breaker bar either again that’s not how I was taught. 7,after watching Ally with a TW I was inspired to torque everything I’ve just ordered the next size up to do it right. 8,thank you for your input.